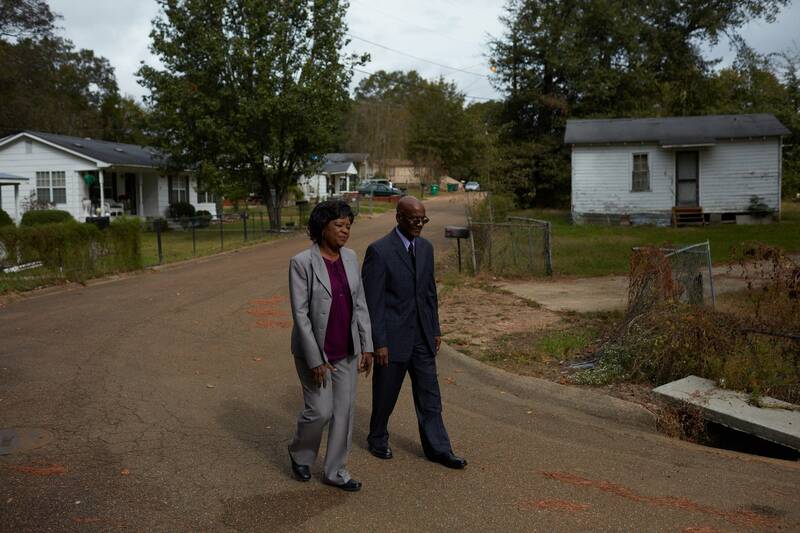 For 21 years she regularly visited her son in Parchman prison and never gave up hope he'd be exonerated. 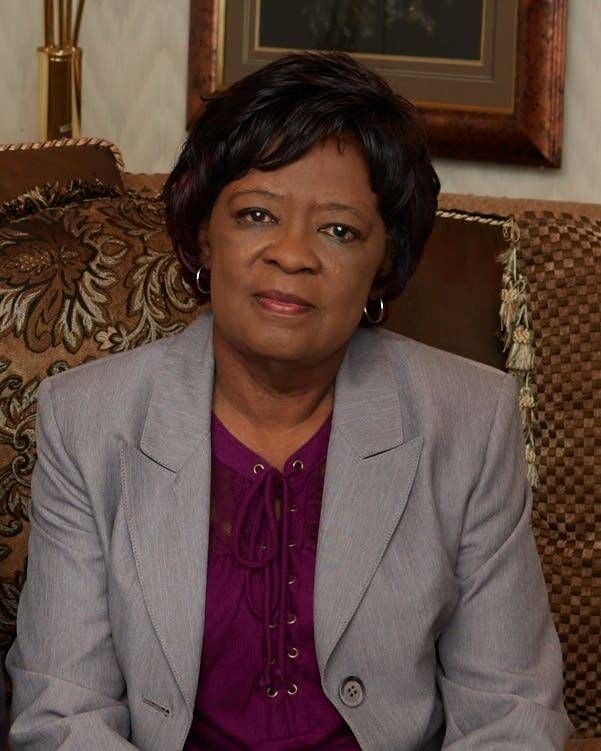 Lola Flowers, who devoted the last two decades of her life to faithfully supporting a son tried six times for the same crime, died Saturday at a hospital in Greenwood, Mississippi. Flowers, 70, had been admitted after experiencing a sudden decline in health. Her daughter, Priscilla, said her mother died early Saturday after suffering complications from surgery. Lola Flowers, a spiritually devout woman, spent much of her time focused on her son, Curtis, who was convicted of murdering four people in a furniture store in Winona, Mississippi, in 1996. He is on death row in Parchman prison in Mississippi. Millions of people around the world were introduced to Lola Flowers in the podcast "In The Dark," which investigated the case against Flowers. The final episode of the podcast was released 12 days ago. Lola Flowers never gave up hope that Curtis would be exonerated and freed from prison. She talked on the phone with Curtis nearly every day and prayed for his freedom. Every two weeks, Lola and her husband, Archie, would drive 80 miles to the prison to visit their son. "There are a lot of people who say, 'I'd have gone crazy,'" Lola Flowers said in an interview last year with APM Reports, which produced In The Dark. "I say, 'No, God's going to work this thing out.' I do believe. It might not be when we want to, but he's going to do. Curtis is coming out." Among Flowers' six trials, four juries convicted him and sentenced him to death. Two other trials ended in mistrials when jurors couldn't agree on a verdict. The Mississippi Supreme Court overturned three of the convictions because of prosecutorial misconduct. The conviction from the sixth trial, in 2010, remains on appeal. Flowers was tried before an all-white jury or mostly all-white juries in each trial. The APM Reports investigation found that the prosecutor, District Attorney Doug Evans, relied on faulty evidence, questionable forensic science and testimony of witnesses who were clearly not credible. Additionally, Evans' star witness, Odell "Cookie" Hallmon, told APM Reports that he'd lied on the stand when he told the jurors that Flowers had confessed to the murders. "As far as him telling me he killed some people, hell no. He ain't ever told me that," Hallmon said. "That was a lie." Flowers has maintained his innocence and remains on death row while the U.S. Supreme Court considers his direct appeal of his conviction and death sentence from the sixth trial, in 2010. The case is also before the Mississippi Supreme Court as part of a post-conviction proceeding. Flowers' attorneys have cited APM Reports' findings in recent filings to the Court. Just two weeks ago, Lola Flowers said that she was feeling even more optimistic that Curtis would win his latest appeal, based on the reporting by APM Reports. She said she was confident that the findings would make a difference. "I'm sure it will. Pull up all this new stuff, it's got to." Lola said Curtis was also feeling hopeful. "He's so upbeat and so excited about what you all have done," she said. Flowers was born in Winona, attended public school and lived there most of her life. Before retiring, she was a home health aide. She was active at the Mount Vernon Missionary Baptist Church in Winona. Flowers was close to her family and had been making plans to go to Texas to attend her grandson's wedding in August. Lola Flowers is survived by her husband, Archie Flowers; her sons Curtis and Archie; her daughters Priscilla, Charita, Cora and Angela; and many other family members.